Traders are advised to diligently research the various binary options brokers and select reliable and trustworthy ones. They need to be sure that the broker can guarantee safety of funds besides top quality service. FinancesOnline.com helps you by providing detailed reviews of leading binary options brokers. In this article, we look at the features and advantages offered by OptionFair. OptionFair has established a positive reputation with its reliable services. 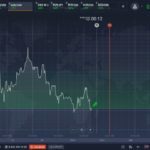 Though there are areas that need improvement, on the whole you can get an enjoyable trading experience on their modern platform. This article takes an objective look at the pros and cons of this broker to enable you to make an informed investment choice. You can safely put your money in OptionFair as they are regulated by the Cyprus Securities and Exchange Commission (CySEC). The company is based in Cyprus which regulates financial firms functioning in the EU under the stringent European Markets in Financial Instruments Derivatives (MiFID). Under the CySEC regulation, OptionFair needs to meet minimum capital requirements and should submit audit reports regularly to guarantee financial transparency. Plus, they are required to keep investors’ funds in separate accounts. The Investor Compensation Fund (ICF) guarantees that traders will be reimbursed up to €20,000 in case the broker becomes insolvent. All these show that OptionFair is certainly one of the genuine and credible binary options brokers as they follow transparent business practices. You can trade in about 130 financial instruments which is par for the course in the binary trading sector. Established traders could require access to a diverse range of options, especially in trading futures and pairs. OptionFair enables you to cover major financial markets through their instruments that include stocks, indices, commodities, and FX currency pairs. This broker does not lag behind and you can certainly diversify your trading portfolio and maintain your excitement. Available trade types are: High/Low, Boundary, One Touch, and Short-Term options. The maximum payout for high/low trades is 85% but it may come down to 70% for many assets. This payout rate is certainly acceptable when compared to other leading brokers. However, you will not get a refund if you lose a trade. Another disappointment is the Range and Touch options give an average of 70% ROI for winning trades. Top brokers offer payouts as high as 400% and even 500% for these trades. Even smaller brokers give at least 200% payouts for these options. So with OptionFair, your best bet seems to be trading in high/low options to get the highest returns. OptionFair reviews show that this broker utilizes the TechFinancial trading platform which has also been adopted by many other top brokers. The platform provides an enjoyable trading interface and is constantly updated with the latest features. The dashboard is user friendly and gives access to all the tools as well as effortless trading on binary options and FX/CFD products. You can access essential info such as financial assets and expiry times, and also modify the charting tools to fit your needs. In addition, the trader dashboard provides info on trading alerts, economic calendar, promotions, news releases, trade history, open trades, and more in a single place. According to OptionFair reviews the minimum required investment for a trade is $25 which is quite high. The maximum investment for a trade is capped at $3000. You can open unlimited number of positions, but the maximum exposure has been capped at $5000. This may impact larger traders with a lot of money but we advise them to reduce risk as as well capital outflow. The high minimum investment amount of $25 might affect smaller traders. OptionFair offers reliable dedicated mobile apps for Android and iOS devices to enable you to trade on the go. The app experience is similar to the desktop trading interface and you can easily perform all essential functions effortlessly on your mobile device. 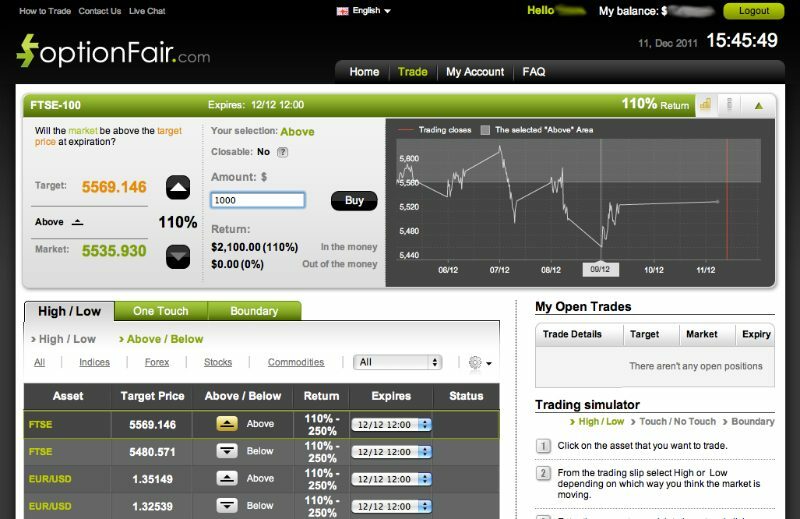 OptionFair does not offer a free demo account and you can only use it after making a deposit. This is certainly a drawback as top brokers offer a free demo account to enable traders to learn the ropes with virtual money before investing real money. However, OptionFair is a regulated broker and you can rest assured they will not withhold your money and will allow you to withdraw it any time as long as you meet stipulations. New account holders can invest a maximum deposit of $1500 to start with and this can be enhanced if you convince the broker that you are not prone to gambling. These restrictions are part of regulatory requirements and establish OptionFair as a trustworthy broker. There is no withdrawal limit and there is 1 free withdrawal allowed per month. Subsequent withdrawals are charged $30 or 30 units of equivalent base currency. There may be additional fees for withdrawals depending on the funding method. You can fund your account using convenient and secure methods such as credit card, wire transfer, Neteller, Skrill, MoneyGram, WebMoney, and Western Union. Withdrawals are processed on the same day and you can expect the funds in your account within 48 hours. However, wire transfer may take a bit longer. OptionFair does not offer bonuses but provides a few risk-free trades that come with some trading conditions. In addition, they also provide periodical refer-a-friend programs and promotions to sustain investor interest and enable them to win trading credits and cash prizes. OptionFair provides top rate customer support through dedicated phone numbers, live chat, and email. As this broker is regulated, you can certainly expect high quality service from their agents and all issues are sure to be resolved quickly and satisfactorily. This is another area where OptionFair could improve its resources. It does provide news coverage and trading signals for free but smaller traders need more educational materials to learn effective strategies and skills. Let’s count the pros: highly regulated broker, good payouts, enjoyable mobile and desktop trading platform, and excellent customer support. The cons are: no bonus and no free demo account. In our opinion, OptionFair provides a secure trading environment with guaranteed safety for your funds which means you can try out their wide range of instruments with confidence and peace of mind.